For years I have wondered aloud why online poker rooms have not gotten into the brick & mortar casino business, and it appears that PokerStars will be the first to attempt the conversion, albeit in a slow, conservative fashion, as the site has announced that it’s now an equity investor in one of London’s most prestigious casinos, and the largest, the Hippodrome, and will relaunch the historic casino’s poker room with the PokerStars. According to reports, PokerStars will refurbish and rebrand the Hippodrome’s poker room, branding it with the PokerStars logo, where they will host a number of special events. 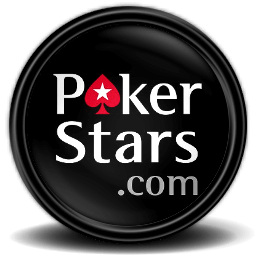 PokerStars also has an equity share in the Hippodrome according to Head of Corporate Communications for PokerStars Eric Hollreisser who spoke with PokerFuse.com. While PokerStars runs the poker aspect of the casino, Microgaming was chosen to provide other online gaming inside the Hippodrome which will now blend live and online gaming in a manner not seen before. This three-way partnership could very well represent the future of the gaming industry. More and more we are seeing online providers partner with existing Brick & Mortar casinos (especially in Las Vegas) for various reasons, including to push their brand and marketing efforts forward, as well as to circumvent certain restrictions placed on online providers by regulatory bodies. With revenue at most brick & mortar casinos as well as online casinos down in the past few years the industry is in desperate need of kick-start and these strategic partnerships (which may eventually lead to full ownership by one entity or another) could very well be just what the doctor ordered. The Hippodrome was recently renovated during 2011 and 2012, after opening over 100 years ago in Leicester Square, and is a landmark in the West End of the city. The “new” Hippodrome resembles the original architecture created by Frank Matcham and was reopened on July 13, 2012. The floor-plan of the Hippodrome now spans 90,000 sq. foot divided among its three floors. The renovations ran around £40 million, a slight increase from the original construction price of £250,000 in 1900, when the Hippodrome was opened as a circus and theater.